Today’s book review is about the very interesting, and long-awaited, book from Pramod J. Sadalage e Martin Fowler. Title: NoSQL Distilled: A Brief Guide to the Emerging World of Polyglot Persistence Authors: Pramodkumar J. Sadalage, Martin Fowler Language: english Editor: Addison Wesley (September 2012) NoSQL: beyond buzzwords The term NoSQL quickly became a buzzword, and NoSQL Distilled authors know this very well, so they decided to face this problem - in my opinion - in the best way: give a clear, effective definition of NoSQL and stay with it throughout the whole book; of course they also state that it is their personal and, most importantly, pragmatic interpretation. 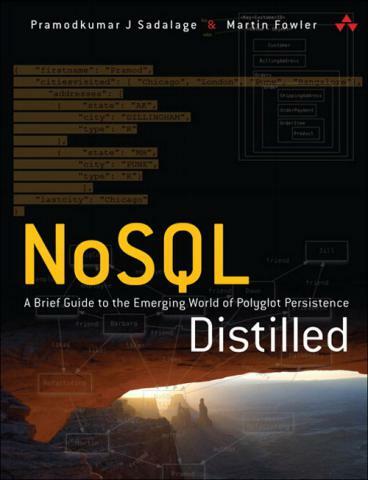 Oggi voglio parlarvi di un libro molto interessante, ovvero il tanto atteso “NoSQL - Distilled” di Pramod J. Sadalage e Martin Fowler. Titolo: NoSQL Distilled: A Brief Guide to the Emerging World of Polyglot Persistence Autori: Pramodkumar J. Sadalage, Martin Fowler Lingua: inglese Editore: Addison Wesley (settembre 2012) NoSQL: al di là delle buzzword Il termine NoSQL purtroppo è diventato in fretta una buzzword. Gli autori di NoSQL Distilled lo sanno bene, hanno quindi deciso di affrontare l’argomento - secondo me - nel migliore dei modi, ovvero fornendo una propria definizione del termine e aderendovi per tutto il libro, specificando comunque che il loro è semplicemente un punto di vista molto personale e - soprattutto - pragmatico.